This amazing and highly educational toy was originally targeted for young children, but research shows that more adults than children are purchasing this. 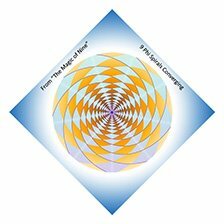 Adults tend to fold the Magic Diamond very carefully, it will last for years,but children under 10 years of age tend to want to tear it apart, so it is not recommended for them. 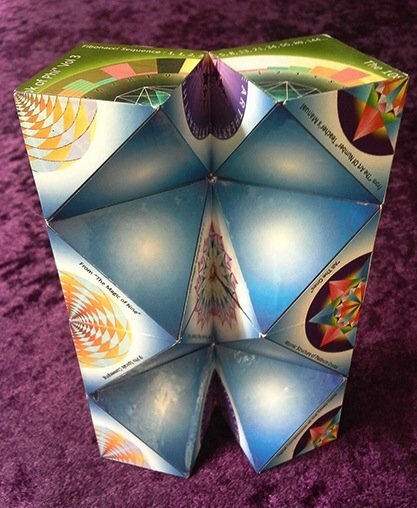 Stay tuned for another series of 4 Magic Folding Shapes that are currently being designed by Jain, and will be made with a special durable material for children under 10 years of age. so do not let a 5 year old play with it as often they stretch it too far and it can break. 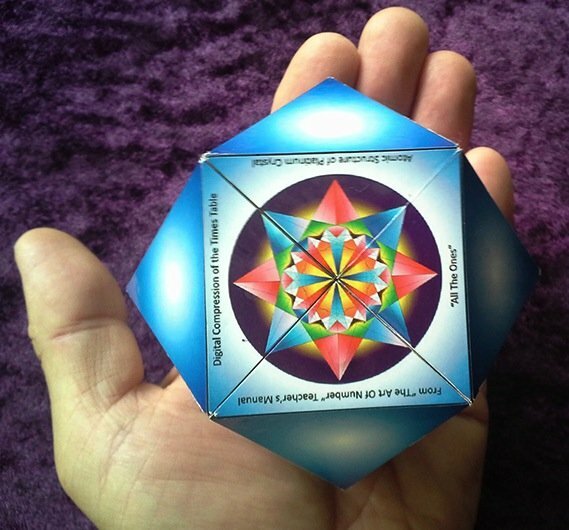 This is a special folding Magic Cube, with hidden magnets, turns itself inside out. It shape-shifts. Great for young adults but not children under 10. 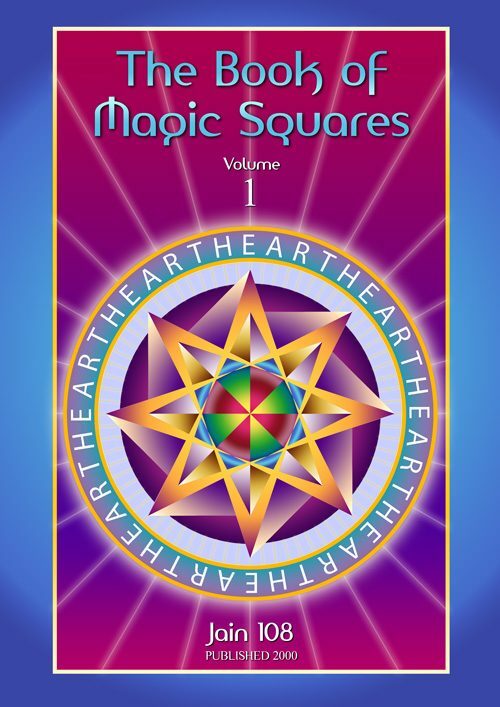 Magic Diamond is one of the 13 Archimedean Solids called the Cuboctahedron. This amazing toy, was originally targeted for young children, but research shows that more adults than children are purchasing this. so it is not recommended for them. 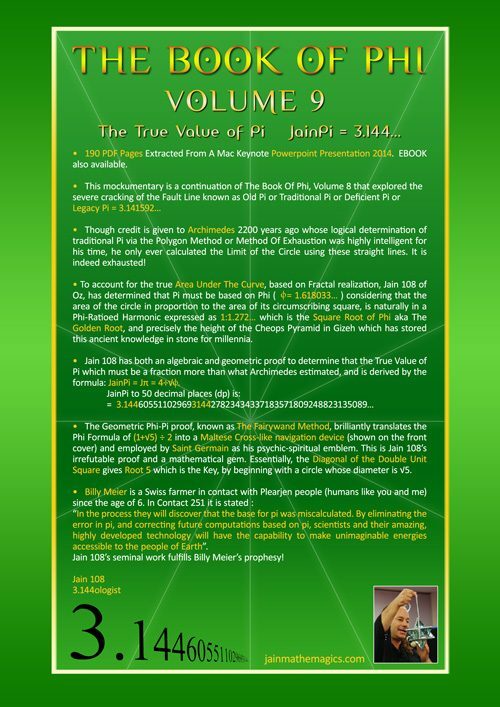 “The 12 Around the One”. This is an ancient puzzle. How many spheres can pack or “sphere-kiss” around a central and same-sized sphere. 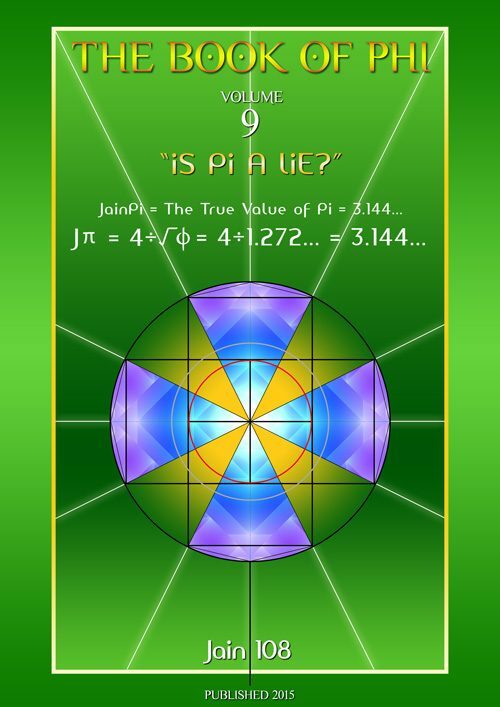 The answer is 12, meaning that there is a central 13thsphere. When someone like Jesus has some much Love, he or she attracts to them, 12 Disciples. 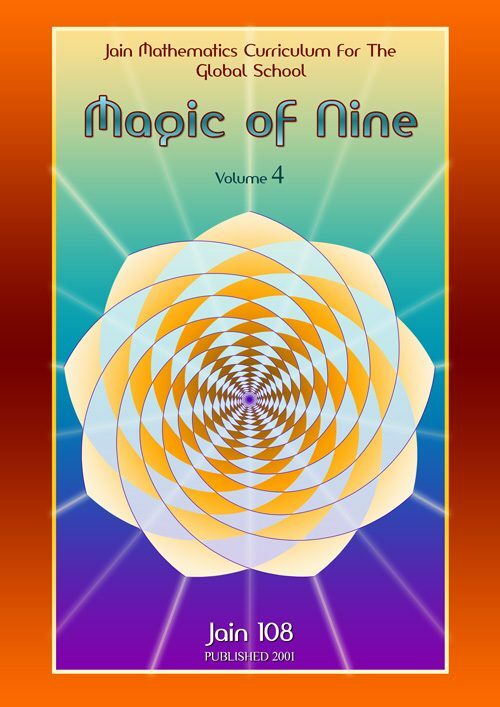 A Universal Law of Magnetism, representing a thorough balance of forces. Leonardo da Vinci’s wooden model of diagram. It has 6 squares, 8 equilateral triangles and 24 edges all of the same unit length. 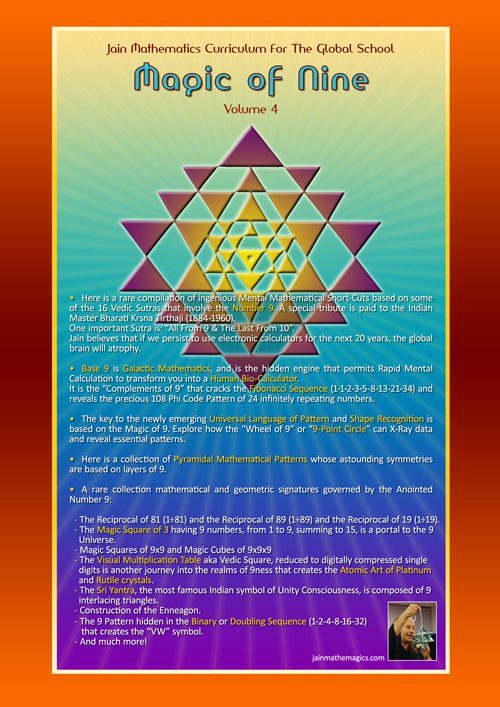 Internally, there are also 24 triangular vectors that meet at the centre. 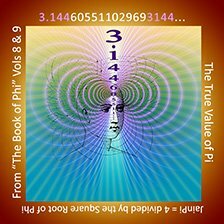 Measurements based on the Square Root of 2(1.4142…). which is essentially cubic and favoured by crystalline structures. 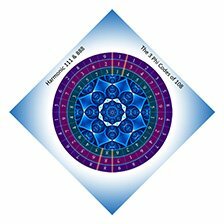 The Octahedron (having 8 Triangles) is the negative space inside the Cube, seen in blue,. 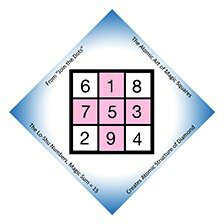 It is actually the Dual of the Cube, meaning what shape would you get if you joined the 6 Face-Centres of the Cube. The shadow of this Octahedron is the Diamond, thus the evolution of the name: Magic Diamond, as the secret space inside the cube! 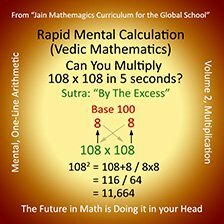 Cuboctahedron is Fractal, meaning that the inside is the same as the outside: ie: if one of the 12 internal radials going from the centre to a vertex, is a matchstick length, then the outer edge length is the same matchstick size. 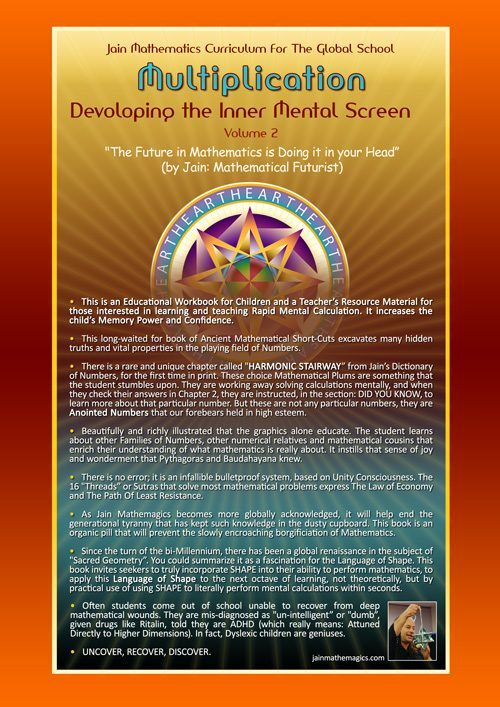 This is the only shape in the universe that has this fractal behavior. It is therefore a highly balanced system, not just a shape! 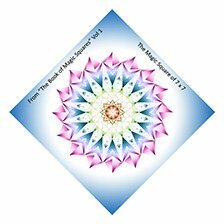 Magic Diamond is composed of 6 Outer Faces and 6 Inner Faces, giving 12 possible printing areas. Buckminster Fuller, the father of geodesic domes, called this the Vector Equilibrium or Jitterbug. In this regard, it is a shape-shifting molecule, and is the key to the hidden nuclear physics of implosion. When made from sticks and rubber cross-joins, this Cuboctahedron Jitterbug or Vector Equilibrium shape-shifts from Icosa (half compression) to Octahedron Diamond, then to Tetrahedron (full compression). 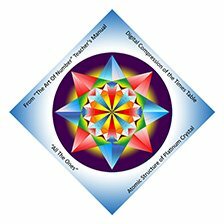 Genesa Crystal is shown here as 4 Great Circles, in copper rings, to best conduct energy from all levels. 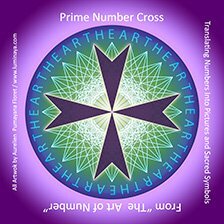 It could also be formed from 6 Hexagons at 60 degree angles, thus its numerical code or signature could be likened to 6-6-6-6. 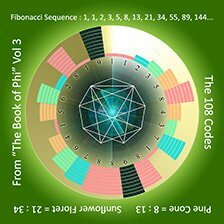 Whereas, Cuboctahedron, at each vertex has a triangle, square, triangle square, therefore its numerical code is 3-4-3-4. One of the 6 Outer Faces. This toy is essential my Business Card or Logo, but provides an attractive and educational experience. 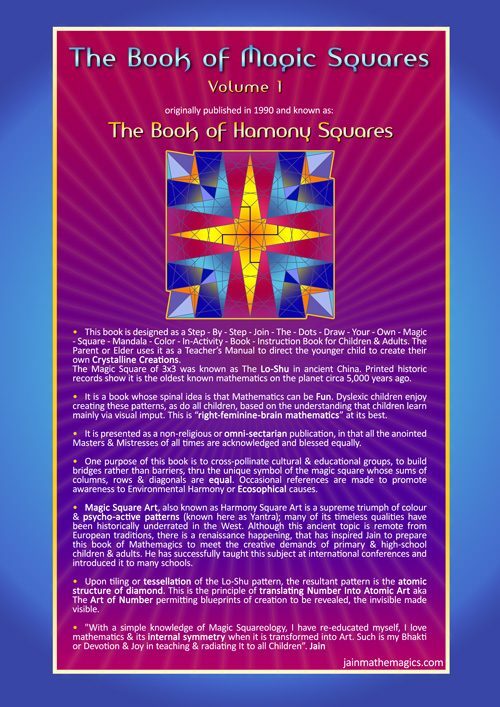 Hidden inside are another 6 internal richly illustrated faces, discovered as the child turns the cube into the cuboctahedron aka Magic Diamond. “As an adult, I love it as much as the Starkidz, there is something about it, the inner magnetic components make a clicking sound when 2 sides meet. 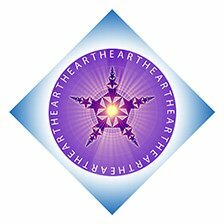 I am enchanted by the ability of this shape to turn itself inside out. Puts me into a very meditative, contemplative state”. Sirli of Mullumbimby, far north NSW. 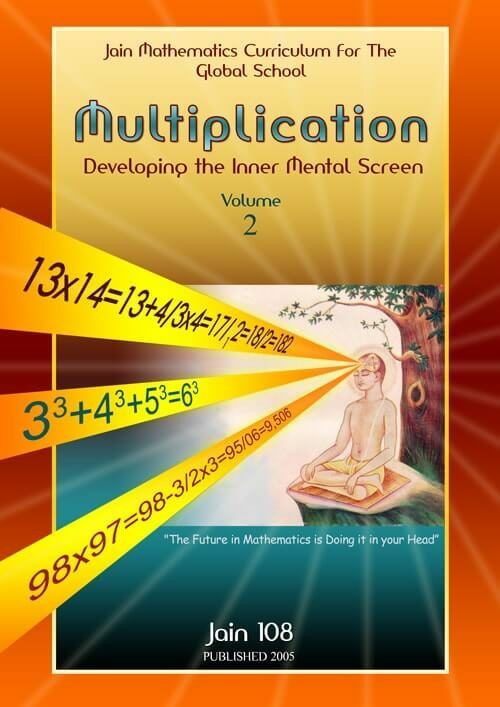 with lots of deep mathematical meaning”. Zephyr of Goonengerry, far north NSW. 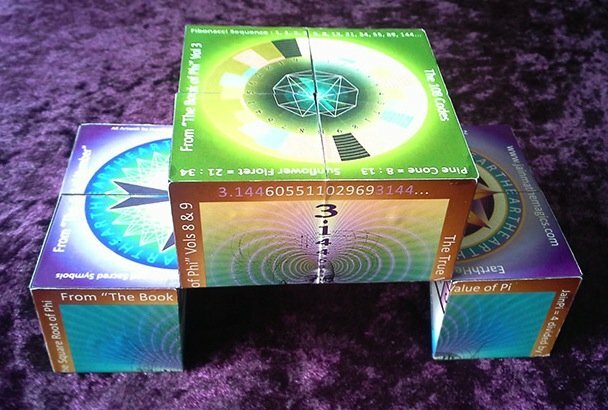 This is a special folding Magic Cube, with hidden magnets, and is able to turn itself inside out, like magic. 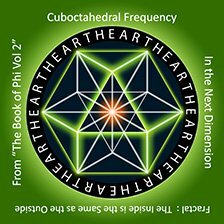 Children of all ages love creating the Magic Diamond shape, which is really one of the 13 the Archimedean Solids called the Cuboctahedron. 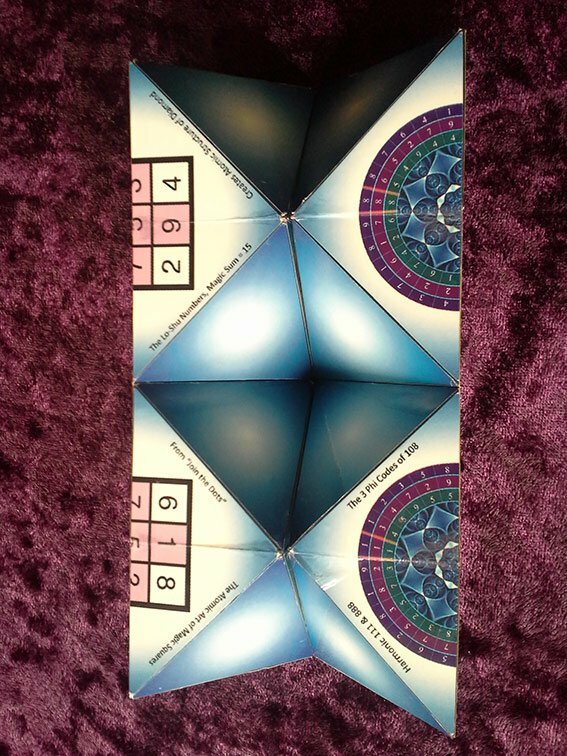 Great educational puzzle with 6 outer squares and 8 outer triangles printed with psycho-active yantra. New and exciting educational products, based on Sacred Geometrical shapes, with internal magnets, that allows the magnetic toy to turn itself inside out and form new shapes. 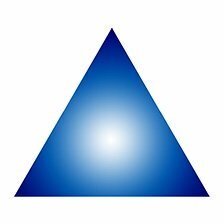 which is an Octahedron of 8 equilateral triangles. and may it bring you much satisfaction. Magic Foldable Cubes, Triangles, Cylinders etc.